In Australia, the hairy-nosed wombat is an endangered species. In comparison to its relative, the common Wombat. They have a fluffy coat of fur, their ears poke of much more, and they are usually much larger. The wombat here was found half asleep next to a man-made concrete wall. In this area there is a lot of parklands and areas for the wombats to run around. For some reason they have decided to remain further to the human side of the park. 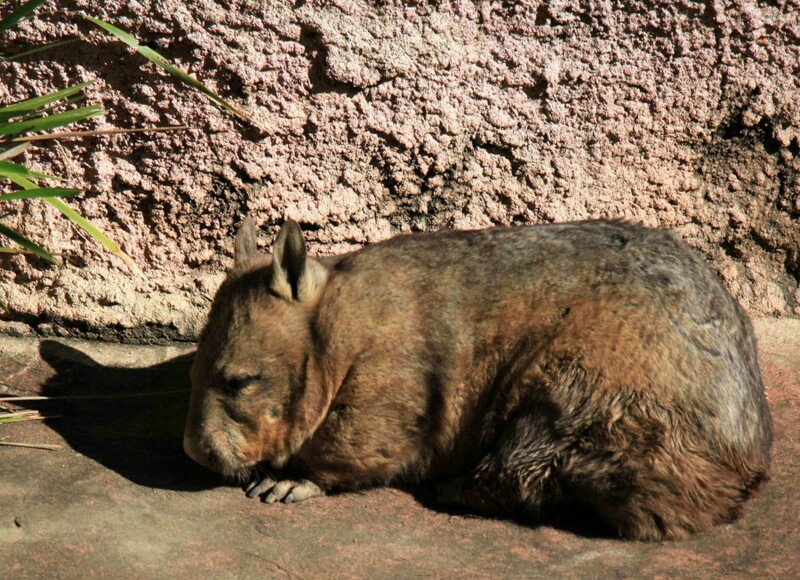 In the early morning sun, this wombat is ready to go back to sleep but is having great difficulty deciding whether to stay in the warm sunlight or go home to his burrow.